Winter has arrived. We got about 10 inches of snow not long ago. It is melting now, but surely more is on the way. Also, in a few days, both the year and the decade end. It is definitely time to look back, time for retrospection. Retrospection is, in fact, what W. Hastings Webling (1866 – 1946? ), a Canadian writer and poet, wrote about in verses published in the magazine Golf in January 1915. Though he was only looking back to the last golf season, and though some of his words are dated, the sentiments he expresses still ring true. I hope you will enjoy reading the poem even though it’s long. But if you fear a long poem as much as a short putt, at least read the first, second to last and last stanzas. And please feel free to share any thoughts you have about Webling’s poem or more generally about golf poetry. To begin year two, I offer a poetic parody on the golf story of the year. The original, “Casey at the Bat,” can be found at the Poetry Foundation site. At least at the beginning, there’ll be one less pro to cheer. And his story much like Casey’s must be classed as one humdinger! Was he pounded with cruel violence, a club upon his plate? And now the golf world’s shattered by the length of Tiger’s fall. 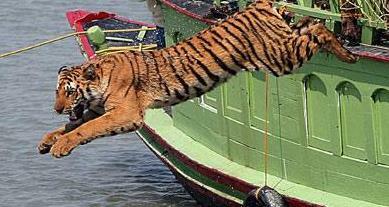 But there is no joy in Vedra-ville – mighty Tiger has been outed. 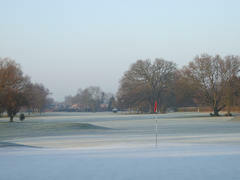 If there is one quality that separates golf from other sports it is emphasis on playing by the rules. A player is expected to call a penalty on him or herself when a rule is broken even if no other player is aware of the infraction. And, of course, it is expected that a player’s scorecard includes all the strokes played. And then there are the players who go out alone. James P. Hughes wrote about one of these players in his poem, “Individual Golf,” published in the December 1915 issue of The American Golfer. And made a straight and perfect drive. He holed a single putt for three. Two hundred fifty yards or more. For with it dead, the ball he laid. Two threes he had to start the round. Next came a short and well trapped hole. He holed a two with smile profound. A record for all time, you guess. Than almost nothing—there you are. By this titanic play supreme. Of how these threes and fours were done. For this great golfer played alone. Because it never counts the flubs. Just ask them if they played alone. 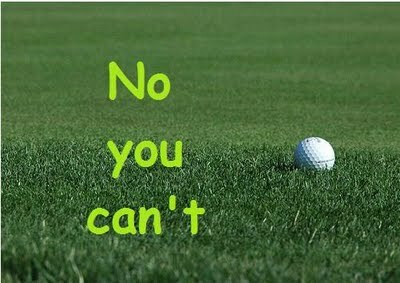 The golfer ‘off his game’ cannot drive, approach or putt, he doesn’t know what the matter is and he has completely lost confidence in himself. 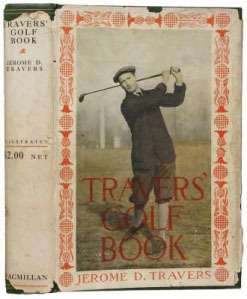 Travers’ prose gives us a straight forward description of what it is to be off one’s game in golf. However, it takes a poet to get to the essence of the problem and its ramifications. Andrew Lang (1844-1912), a famous Scottish writer and poet as well as golfer, also wrote a poem of similar anguish called “Off my Game.” Could the agonies and frustrations of golf be fully described without poetry? I think not.